Grilling season approaches. 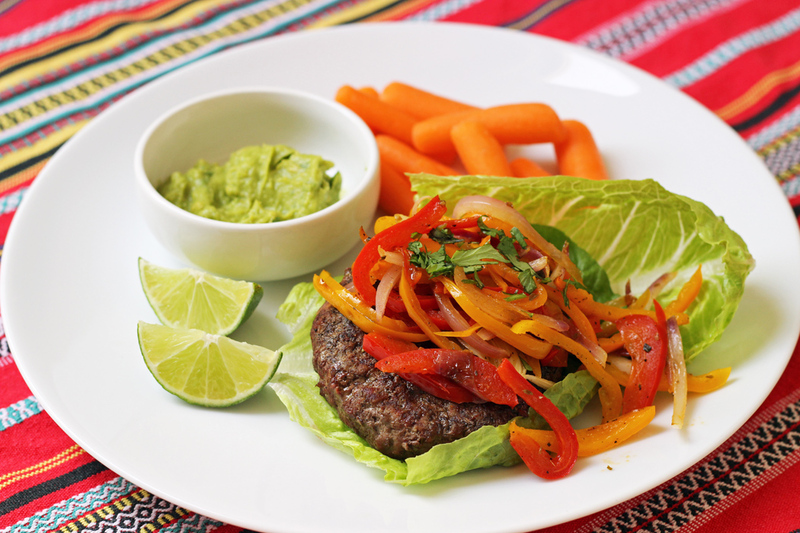 Switch your burger bar up a bit this year with salsa, chipotle mayo, and fajita vegetables. Viva the Fajita Burger! Burgers are a huge hit at our house. I know that I can get instant approval from everyone at the table when I make hamburgers. They’re good with eating them at restaurants, too. Honestly, I can count on two hands all the great restaurants in our area that serve delicious and creative burgers. I’m thinking San Diego might be a sanctuary for folks who love burgers and small craft beers. Anyway…. back to delicious and creative burgers. I love when burgers are fancy. I’m a little partial to certain ingredients like bleu, gorgonzola, swiss, cheddar, and pepper jack. Basically all the fancy and unfancy cheeses. However, could I make a delicious and creative burger without the cheese? Why yes, yes I could. 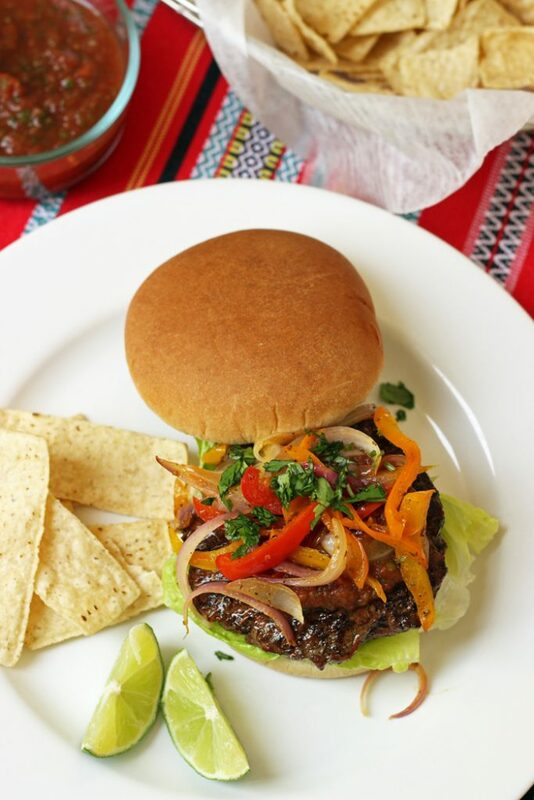 Meet the Fajita Burger! 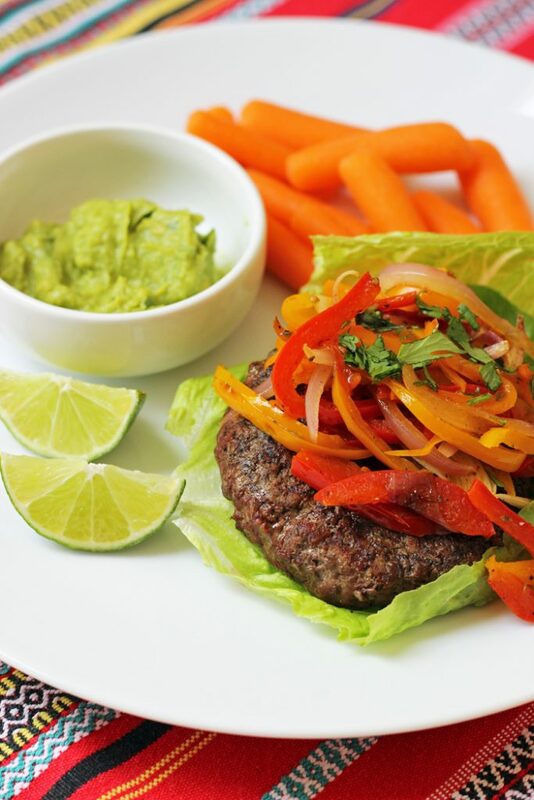 The Fajita Burger is just what it sounds like: a Mexican-spiced burger topped with fajita vegetables, and a trio of toppings to choose from: guacamole, salsa, or spicy. It’s flavorful and fun, a great way to spice up your backyard barbecues this summer. 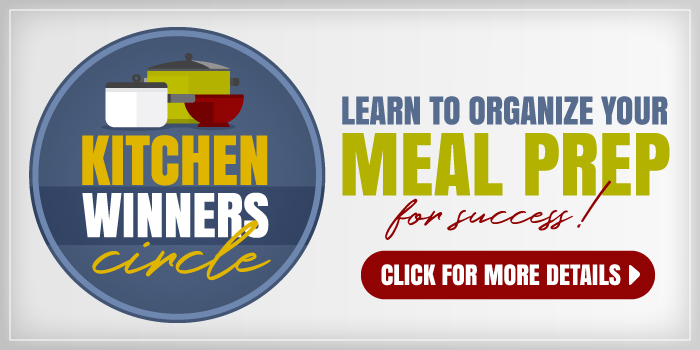 One of the great things about this burger recipe is that all the toppings fit a Whole 30, paleo, or dairy-free diet. Be sure to serve it bunless, and you’re good to go. Heat an outdoor grill or indoor grill pan. Divide the ground beef into four equal portions. Season each generously on both sides with the taco seasoning. Cook the burgers until desired doneness. Heat the oil in a large nonstick skillet until shimmering. Add the peppers and onions. Season them with oregano and salt and pepper to taste. Cook stirring, until the onions are translucent and the peppers are tender. 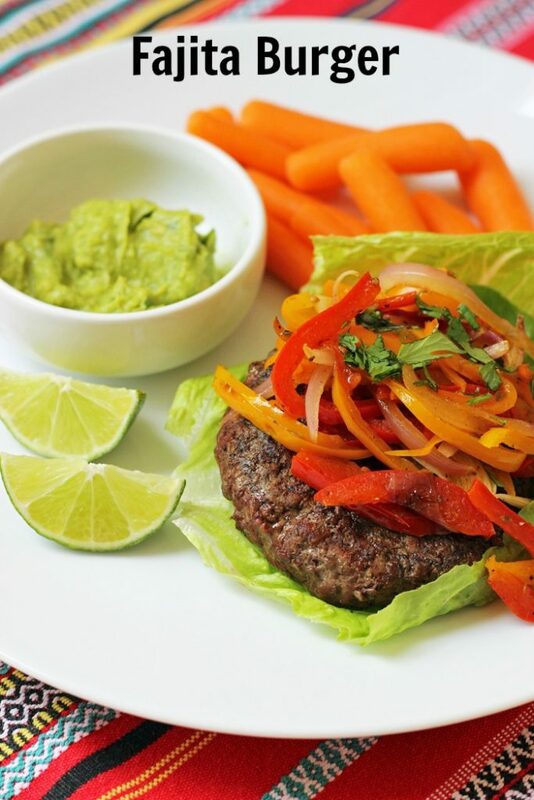 Serve the burgers on buns (or on lettuce leaves, if going bunless), top with vegetables, salsa, guacamole, chipotle mayo, and/or chopped cilantro. These sound delicious and I will be trying them. 2 questions. Would it be better to mix the taco seasoning in the meat so that flavor is through the whole burger rather than just sprinkling on top? I’ve never seen chipotle mayo. Is this something I can mix myself? Thanks. Above I linked to another burger recipe that includes instructions for homemade chipotle mayonnaise: https://goodcheapeats.com/2011/07/tarragon-turkey-burgers-with-bleu-cheese-and-chipotle-mayonnaise-whats-on-your-plate/ You could definitely mix the taco seasoning in. I prefer the crust that the seasoning creates, plus I often freeze dozen of plain patties at one time so that we can have easy burger nights. Definitely go with what you prefer. 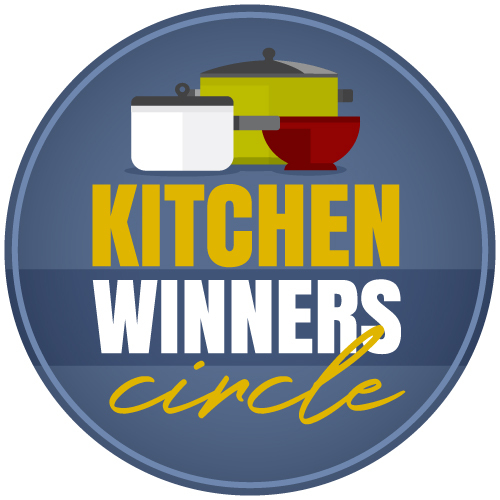 You have really helped me as I have tried to become a better and more wise home cook. Thanks! I made these burgers over the past Easter weekend. HUGE hit! Even my picky eater loved them. 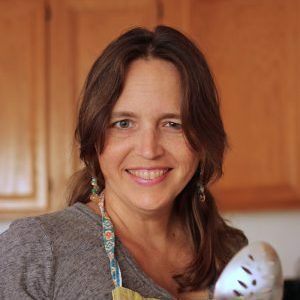 It was a fishmama weekend from burgers to chicken & green beans to empty tomb cake. We think you are THE BEST! Thank you!!! Yay! I’m so glad to hear it. Thank you for the great feedback!